Picturesque Blatina is very unusual, small but deep lake situated in the lovely field in the centre of the Island, close to the Blato village and on fairly walking distance from Kozarica. The lake is formed by mixing the sea with rainwater. Filled with the salt water of much lower salinity than the sea, the water from this lake was used through the history by local people for mostly domestic animal consumption and irrigation. The chemical composition of this water contains from 0.5 to 20 grams of salt ( NaCl ) per litre of water. The overall level of salinity of the lake depends on the influx of fresh water into the lake as result of increased or decreased rainwater fall. Blatina is a lovely place to visit if you like walking in nature. The best walk to Blatina is from Blato village, it leads along the fields of vineyards, passing through the narrow passage between two hills and arriving in next field where the lake is located. It takes about 40 minutes of moderate walk to reach the lake. 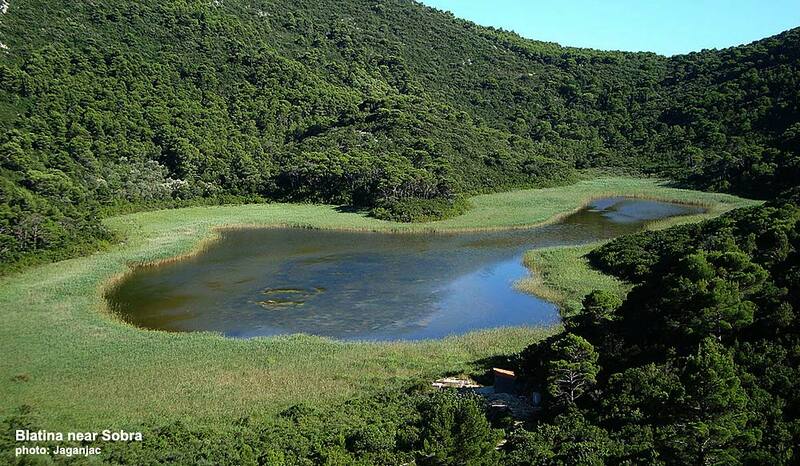 Lovely and not to be missed if you visit Mljet! 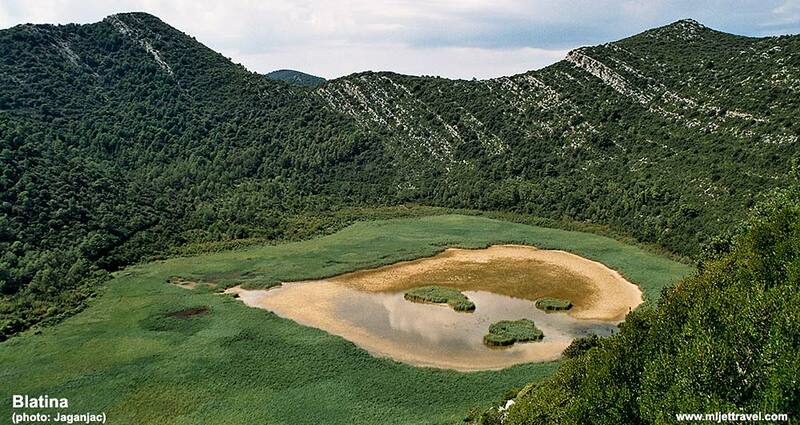 On the island of Mljet, there are another two similar but much smaller lakes, Blatina, one is in the vicinity of Sobra, also called Blatina and another one, called Slatina, not far from Kozarica (see it here).